Durban is the third largest city in South Africa and the largest in the KwaZulu Natal province of South Africa. Durban forms part of the eThekwini municipality and is the busiest container port in Africa. The warm subtropical climate and beautiful beaches make Durban an ideal tourist destination for local and international visitors. Durban is not only about surfing and sunbathing on the beach, it is also the second most influential economic complex in South Africa. Durban is home to some of the nation’s leading conference venues, having a wealth of venues including hotels, guest houses, conference and convention centres suitable for small to large business meetings, seminars, team building and corporate events. Durban is easily KwaZulu Natal’s most influential city, contributing over half of the province’s economic output, employment and income. It has a diverse economy and is rich in the manufacturing, tourism, transportation, finance and government sectors. The manufacturing sector of Durban is only second to the government in terms of job creation. Durban also has a dynamic and growing small and micro business sector. Travel to and from conferences in Durban is made conveniently easy with an excellent road infrastructure and a world class airport such as the King Shaka International Airport. The airport not only handles many visitors coming to Durban, but it is also a key gateway to the rest of KwaZulu Natal and the Drakensberg region. The King Shaka International Airport is a world class facility offering a host of features to make your traveling experience as comfortable and enjoyable as possible with additional features such as shops and restaurants, a bank and post office. The three large conference and banqueting venues at the Docklands Hotel can host conferences and functions for up to 400 delegates and guests. They offer a wide range of seating styles, themes and menus tailor-made to suit your needs. Conference note pads, pens, mineral water, mints, flipchart & pens and data-projector are included in the conference package. Situated next to the new Durban Waterfront and upmarket Point Development, Docklands Hotel and Conference Venue is a fresh, superbly designed and an inviting place, full of energy. 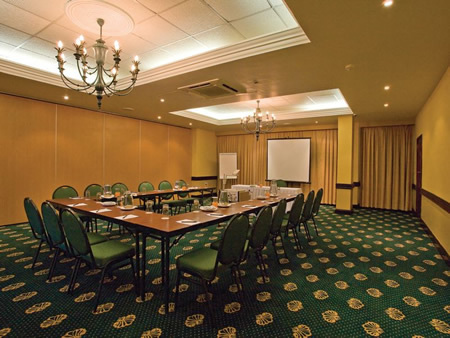 Durban Manor Hotel & Conference Centre has conference facilities, which cater for, a maximum of up to 200 people in Cinema Style, Cocktail, U-Shape, School Room & Round Tables. Conference equipment includes chairs and tables, free parking, data projector and screen, flipchart and markers, pens and notepads, mints and mineral water on tables, full three course meal, tea / coffee and finger snacks, on request, Waiters, Barmen, Event Coordinator and Bed & Breakfast for a 24HR Package. The recently opened Mount Edgecombe Conference Centre is located conveniently in the Heart of Broadlands, Mount Edgecombe and an arm’s length away from prime shopping centres. The innovative Architecture and distinctive design of the Conference Centre enhance a sense of style that is elegantly appointed to this building. This 500 seater conference venue is situated at the Broadlands Mount. Events Coordinators take on the responsibility of planning, organizing and implementing each function successfully. This Stylish, Elegant venue has been awarded a 4 STAR RATING in the meetings and special functions category from The Tourism Grading Council of South Africa. The elegant Blue Waters Hotel is located on Durban’s Golden Mile, a shell’s throw away from the beach. The venue is situate less than ten minutes from Durban’s city hub and five minutes from the new International Convention Centre. The Blue Waters Hotel specialises in offering the best accommodation at affordable rates to corporate business, sports teams, groups and holiday makers alike. They offer Business Conference and Function Facilities for Small through to Large Events. Ten Conference Venues are available with seating capacity for 10 to 250 delegates. No matter what size Business Conference Venue you are looking for, they cater for all – from the functional to the luxurious. Situated less than 200 metres from North Beach, Durban, the DJ Centre Conference Venue is a fully equipped functions and events centre. The DJ Centre provide facilities to suit whatever your requirements dictate. Their fully staffed amenities include a coffee shop, fully licensed bar, kosher and general kitchens – all under one roof. Sound, decor and a range of caterers are available from professional, accredited registered service providers. Each of the conference venues can be configured to your needs to host any event, function or conference. The Lounge and Conference Room are inter leading, and both can be booked for one function. The Terrace is often used to serve lunch, and the bar and coffee bar facilities are available for all functions. Located on the Umhlanga Ridge the Gateway Hotel Conference Venue has the unique advantage of allowing guests direct access to the Gateway Theatre of Shopping, which offers a feast of entertainment, restaurant and shopping outlets as well as outstanding team building facilities. The 146 room hotel has five well-appointed conference venues with the latest technology. With this in mind, it is soon to become the preferred venue for conferences and functions. A superb and central venue for business men and women, the Gateway Hotel is soon to become the preferred venue for conferences and business meetings. The iconic “leafy” screen surrounding the Gateway Hotel is not only an eye-catching design, but also an effective shading technique – it acts as a solar shield for the dominant northern facades of the building. Capacity at the Olwandle Guest House & Conference Centre is 35 seated with tables and 55-60 seated without tables. Facilities include transparency overhead projector, flip charts, pens and wall screen. Extra equipment e.g. Data projector, VCR, TV, is available on request, and their conference facility is fully air-conditioned. During tea break, you can enjoy 180 degree sea views from the deck. This facility is also ideal for business breakfast or board meetings. 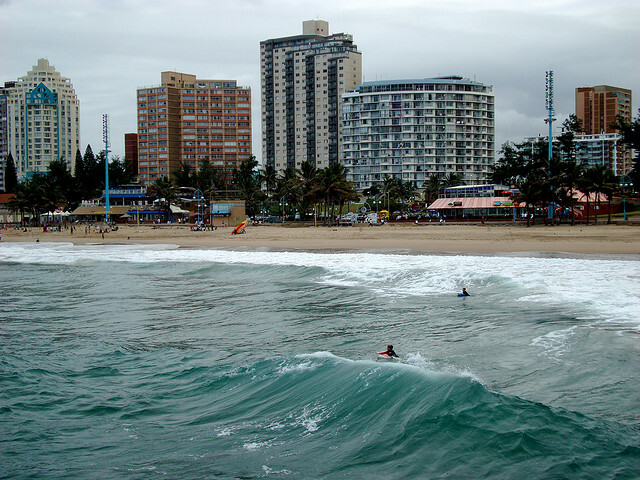 Olwandle is nested in the heart of Durban and its many attractions. They are a 25 minute drive from the Durban International Airport, only eight minutes from the city centre, beaches and the International Convention Centre. These are just a small selection of the conference venues in Durban and you will easily find many more quality venues.